The past grandeur of railroading is often reflected in its great passenger stations. Many of these icons have survived into the 21st Century with varying degrees of preservation. Grand Central Terminal in New York is perhaps the most elegant of the survivors. celebrating its 100th anniversary last year; meanwhile, just a few blocks south in Manhattan, Pennsylvania Station was demolished in 1963. 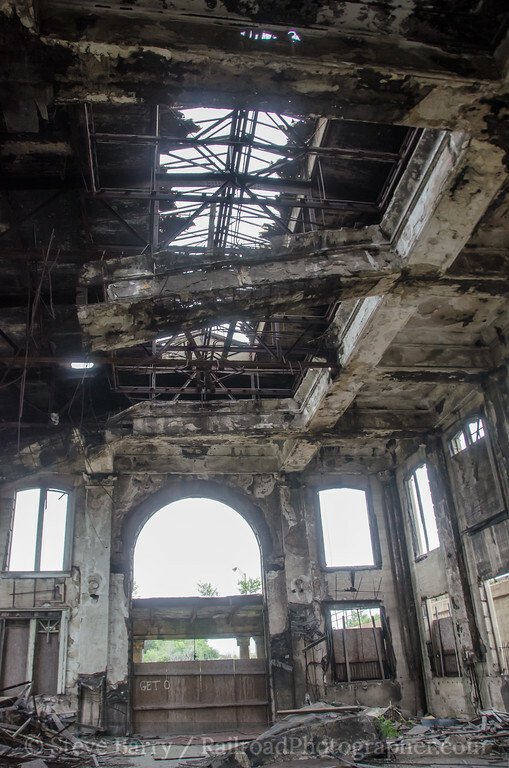 Buffalo Central Terminal has been stabilized and its concourse open for public events, despite limited electricity and no plumbing. 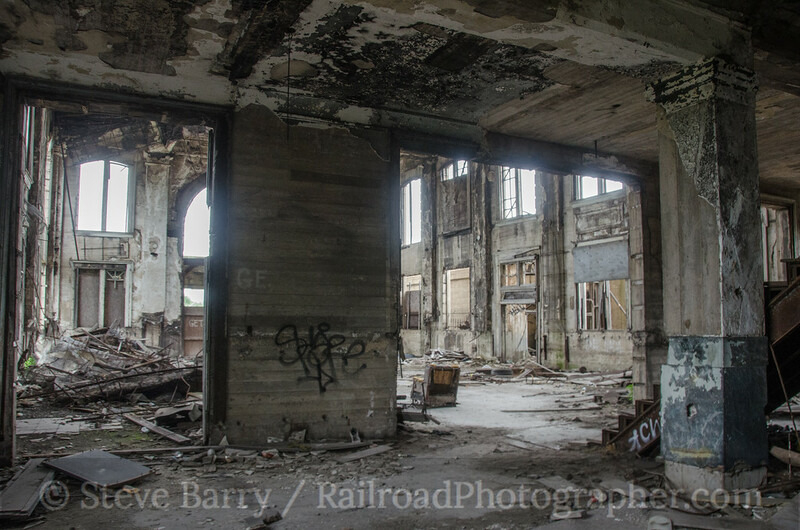 Michigan Central Station in Detroit is undergoing stabilization, but remains closed to visitors. 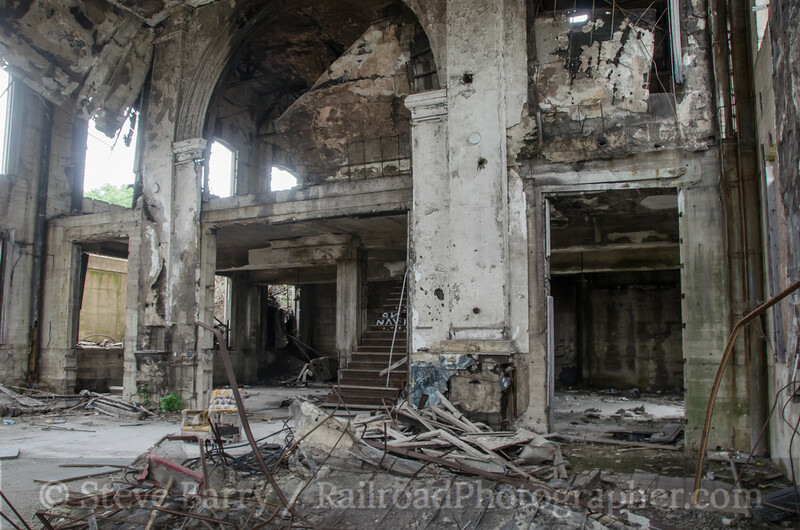 And then there is Gary Union Station in Gary, Ind. 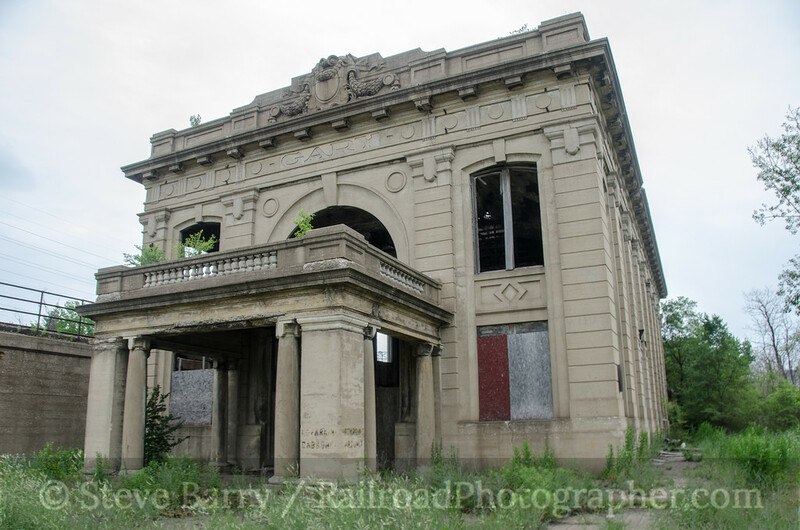 The station is only slightly younger than the town it served; Gary was established by U.S. Steel in 1906 and the station was built in 1910. It is situated between the elevated lines of the former New York Central and Baltimore & Ohio, and is now in the shadow of I-90. While it looks like it is built of stone blocks, the station is actually cast concrete. It was designed by architect M.A. Lang in the Beaux Arts design. The last trains served the station in the 1950s. The station caught my attention when it was named to the inaugural list of the Eight Most At Risk Railroad Landmarks issued by the National Railway Historical Society in 2013. A trip into Indiana last July put me close enough to the station to check it out. 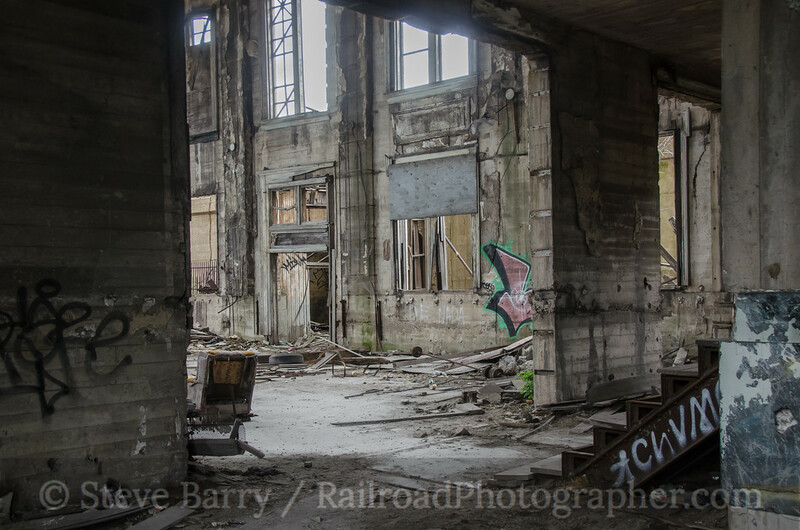 While Gary has the reputation of being perhaps a dangerous town, a quick check of satellite maps showed that it was located on the northernmost edge of the city, with what's left of the steel mill on the opposite side of the railroad tracks. There really wouldn't be any reason for traffic -- by auto or on foot -- to be in the area. And that is pretty much what I discovered when I got there; no one was around. 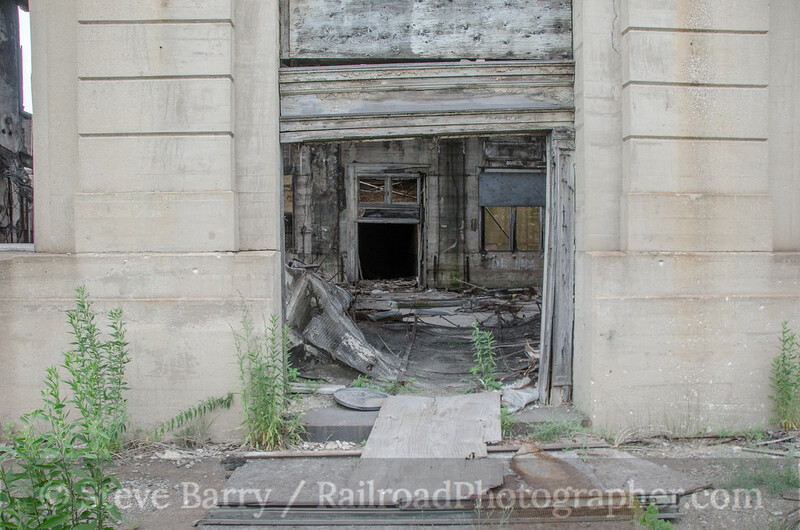 The main entrance is covered with a rotting piece of plywood, but walking to the south side of the building revealed an obvious entrance. Once inside, it was easy to see how grand the station must have been in its prime -- and how much the elements have affected the structure in the half century since the last trains stopped here. The walls are solid -- the building isn't going to fall over any time soon. But the roof is another matter. You are always looking up, both to admire what must have been magnificent skylights and to make sure none of the ceiling would be falling on your head. I'm not sure what's holding up the big center beam. The front entrance can be seen in the photo on the right. A set of steps in the back leads up to what's left of the second floor. 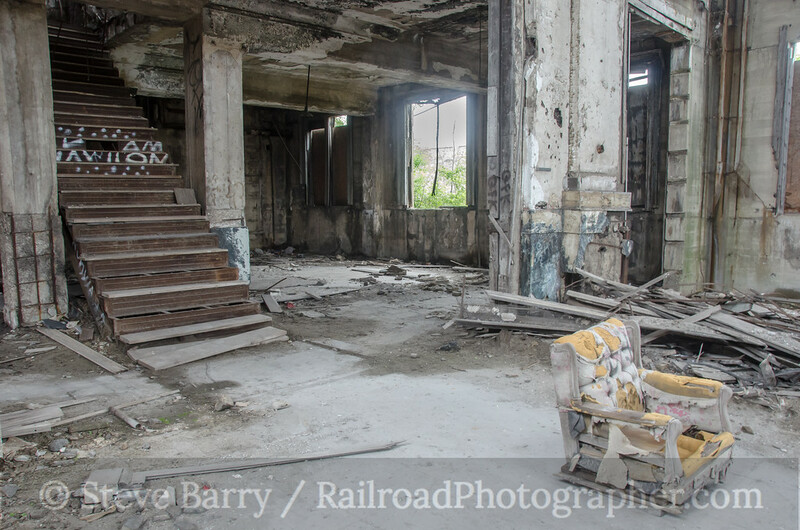 The steps are blocked with debris, but even without the obstructions it would be unwise to venture up -- there isn't much floor left of the second floor. Apparently some artistic philosopher noted that as time progresses, one's mood gets worse. I guess that's what this graph indicates. This is under the rear area where the second floor is located. Turning around, we get this view out into the main concourse. 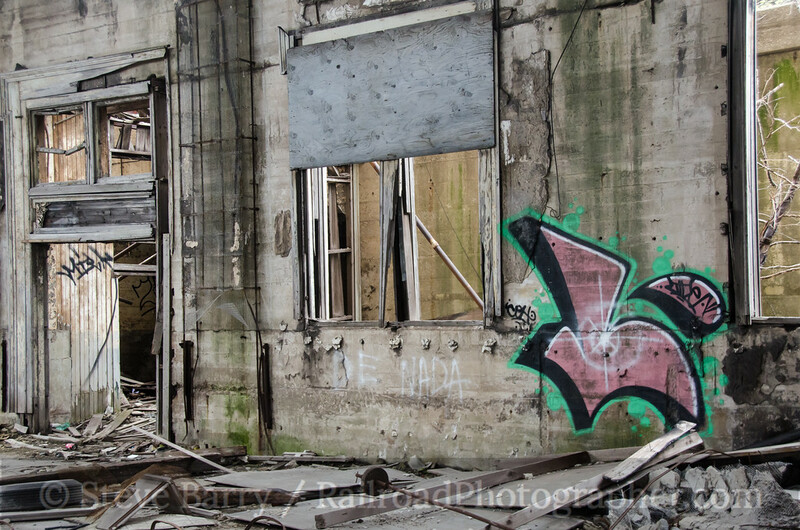 Other artwork adorns the walls, although by some standards the graffiti isn't as prevalent as you might see in other places. Among all the debris that lies around -- tires and trash -- one item stands out. There is a chair that occupies the center of the concourse, and Internet searches of photos others have taken here show that the chair has been there for quite awhile. It has become the unofficial icon of the station. 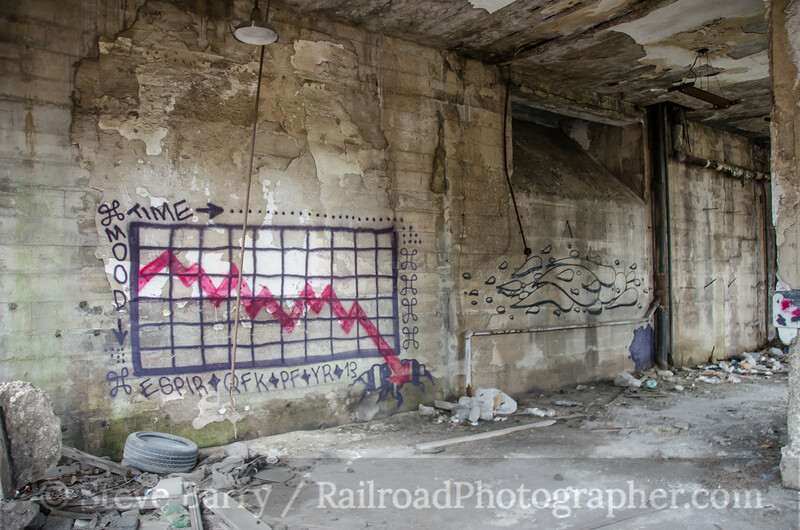 There are no plans to restore or stabilize the station. The closest an attempt gas come was back in 2000 when a federal grant was made available to repair the roof, but the city was unable to come up with the matching funds that were required. As I said earlier, the building's walls are strong and should stand forever. But someday the ceiling is going to be occupying the floor more than it already is. 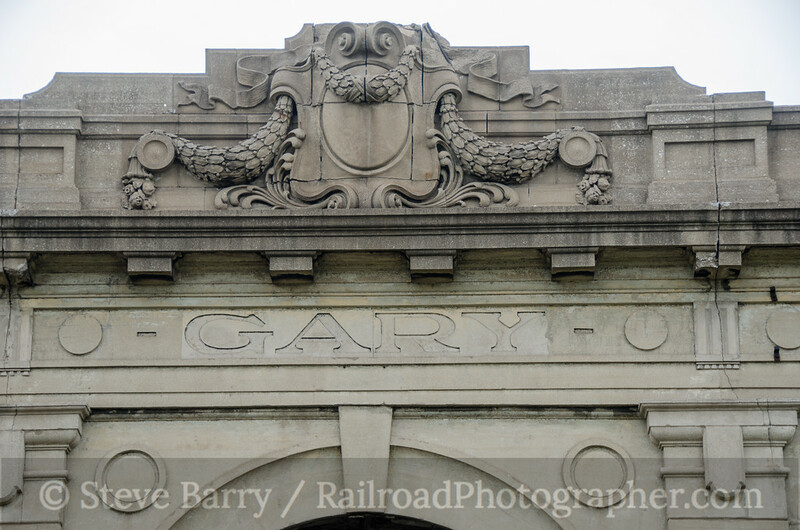 For more photos of Gary Union Station click here.